The trial, carried out with partners RES and martime safety organisation Commissioners of Irish Lights, is taking place in Dublin Bay, Ireland, and forms part of the Carbon Trust's Offshore Wind Accelerator programme. "Scanning lidar has the potential to take our understanding to a completely new level," said Carbon Trust project manager Megan Smith. "In information terms it is the difference between taking a still photo compared to having a three-dimensional video with full sound. The need to test the sensitivity of the technology is the next frontier in getting industry acceptance." Four scanning lidars will be deployed at the site to test their viability in the offshore sector. 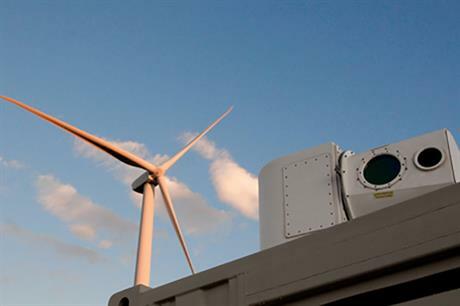 French wind resource company Leosphere and US aerospace firm Lockheed Martin will provide the scanners. They will be measured against three vertical profiling lidars, also provided by Leosphere, which have already proved to be as accurate as the standard — but more expensive — met mast. "Measurements taken by both masts and floating lidar are limited in that they only provide a measurement of the wind resource at a single point in space. For an offshore wind farm covering an area of up to 200 square kilometres, this can create uncertainty on the wind speed at locations far from the measurement point," the Carbon Trust said. Scanning lidar systems can measure between 10 and 30 kilometres away and take 100 measurements a minute, according to the trust. Increasing confidence on spatial variation could reduce risk to minimal levels, which can save millions on a project and reduce the cost of energy from offshore wind, the Carbon Trust added.